As the fifth anniversary of the 9/11 terror attacks approaches, the Macomb County Clerk / Register of Deeds today announced a document security system to make it harder for terrorists to use fraudulent documents and may be the first of its kind in the nation. Record holders, employers and institutions with possession of a certified copy of a Macomb County birth record, or other vital record, may use the system, when its completed, to verify online whether that record is authentic. The system will only apply to Macomb County vital records, but the Macomb County Clerk hopes it will be adopted by other counties or the state. The Macomb County Clerk’s document security system will enable persons needing to verify whether a Macomb County vital record is authentic to do so by typing in the key information on the document, including the document’s unique security paper identification number and issue date. The system protects privacy because information cannot be verified by anyone unless they actually have possession of a paper copy of the document. A test site is already functional and illustrates how the final system will work at http://www.macombcountymi.gov/clerksoffice. The Macomb County Clerk announced a birth records protection system this summer in partnership with the Social Security Administration that is estimated by the SSA to save $257,000 over the first five years. The Immigration Reform and Terrorist Prevention Act, effective last December, requires the SSA to get third party verification of birth records. For example, when a person applies for a social security card they must present a birth certificate. Each birth certificate must now be individually verified as authentic by SSA staff, even if it is a certified copy. Using the Macomb County Clerk’s new system, SSA staff may now verify birth records online instead of making a trip to the clerk’s office. Today’s announcement by the Macomb County Clerk means all Macomb County vital records can soon be verified, including birth, death, marriage and business registration records, instead of only birth certificates. “This system will enable my staff to spend more time at the counter providing individual service to the public and less time verifying records,” said the Macomb County Clerk.  “If this system were applied to drivers licenses or other statewide documents, it could help restaurant owners make sure minors were not served alcohol and also help make sure employees’ documents are in order,” said the Macomb County Clerk. Records issued in October will be covered by the system. The Macomb County Clerk plans to have vital record exchange days in the coming months. Anyone possessing a certified copy of a Macomb County birth certificate or other record issued prior to October will be able to exchange them for free for a certified copy on new security paper, after the Macomb County Clerk’s staff confirm the record’s authenticity and that the person presenting the record has the right to possess it. The system will be provided by Affiliated Computer Services, Inc. as part of their vital records package.